Late Harvest is produced using a coupage of different varieties. 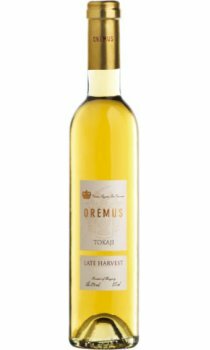 These include the Furmint, whose acidity creates the perfect balance with the sweetness, while the Harslevelu adds mellowness and a silky texture. The Koverszolo and Zeta increase the mellowness and fruitiness, along with the strength of the wine. And then there is the golden Sárga Muskotaly that rounds out the nose of the wine. It is noted for its floral tones, mixed with mellow and citrus hints. Fine and elegant nose and it is rich and persistent on the palate. The fine acidity and the sweet fruitiness create a perfect balance.